A loan of $1,000 helped gain working capital for my business, so that I may sell to a wider confection audience. I am a professional actor and writer, who grew up in Hollywood, I moved to Baltimore MD after my father passed away in 2005. I wanted to create a life for myself outside of Hollywood, and yet still be creative. Performance and creating my own work, have always been a huge part of my life. I have successfully produced and been touring a solo show, I created for over 17 years, and is now in television development. I am very proud, and also desire to expand my creativity into something more sustainable. I love keeping life simple and filled with joy. I have an amazing husband and daughter, who give me daily inspiration and joy. The love of my family, is what allows me to create and build a strong foundation. They both have been encouraging me, to follow my love of baking. At almost 50, I want to establish something that can last generations and add something to the community. Baking cookies does just that. When I started to put unique mini works of art on my cookies, I noticed it created conversation. People I barley knew or none I knew at all, would chat about the art and smile from the delight of the taste. This, made me beyond happy, and I knew, it was going to bigger than myself. 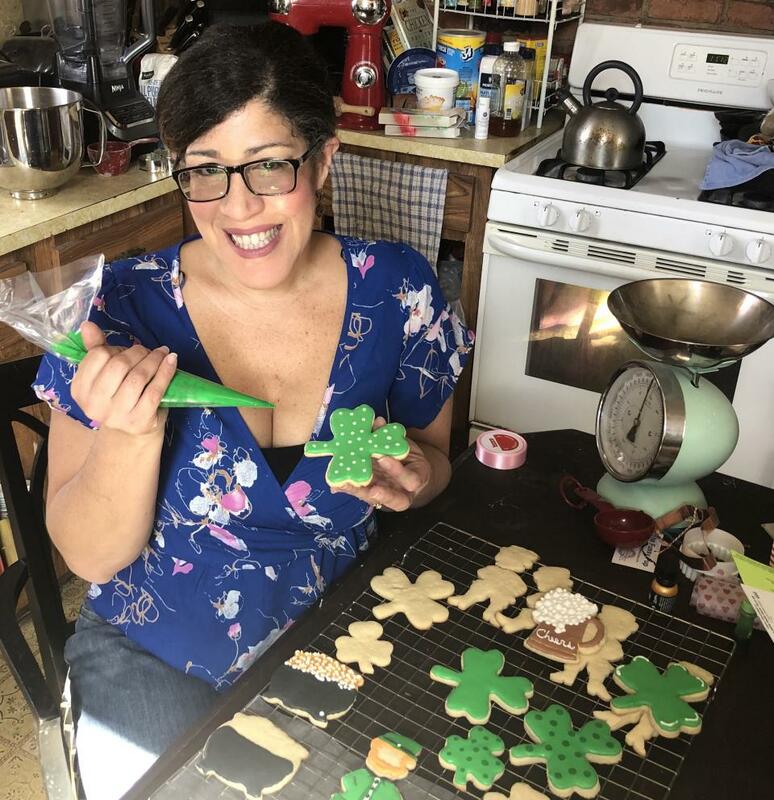 This Kiva loan helps a female entrepreneur bring people together through her artistic cookies. What makes Raindrop Confections special? Cookies are made with love that you can taste in every bite. The hand painted royal icing cookies and hand painted portraits on icing, are mini works of art, that can take up to 2-4 days to complete. Each one inspired and infused with hopes and dreams. It all began over Christmas holiday. I was very proud over some cookies I had painted, and decided to post my pictures on line. I received so many inquiries about purchasing and shipping, that my kitchen became a makeshift bakery for friends and family. At almost 50, I want to create something for my family that can last generations, and be a part of creating happiness. I am my only employee, and would love the opportunity to have a storefront bakery one day. A place that welcomes everyone and delights the palate. Raindrop Confections IS THAT. Food brings us together, no matter who you are. It’s a universal bridge. My cookies, are meant to be a conversation starter. $99 advertising fees for google ad space.